I'm sad about the loss the U.S. suffered to Belgium in World Cup game last night. Playing in overtime and conceding 2 goals to then have the youngest U.S. player ever to play in a W.C. game, score for the red, white and blue - how emotional? I was literally up and down off the couch. Pointing and yelling at the T.V., cheering until the last minutes for pride and country. My son thought it was hilarious. I'm really proud that the guys never gave up. They gave it everything they had - defied odds over and over again throughout the World Cup. They didn't really lose, they just aren't advancing. But the soccer world has taken notice. America has taken notice. Soccer might not ever rival American Football but for a few short weeks everyone was cheering for the same team. Our team. Team USA. That's winning. As a side note, Tim Howard is a beast of man and he made it clear that he's one of the best goalies in the world. In other news, I want to share a couple snapshots from this past weekend with you. One reason why it's good to be an American. 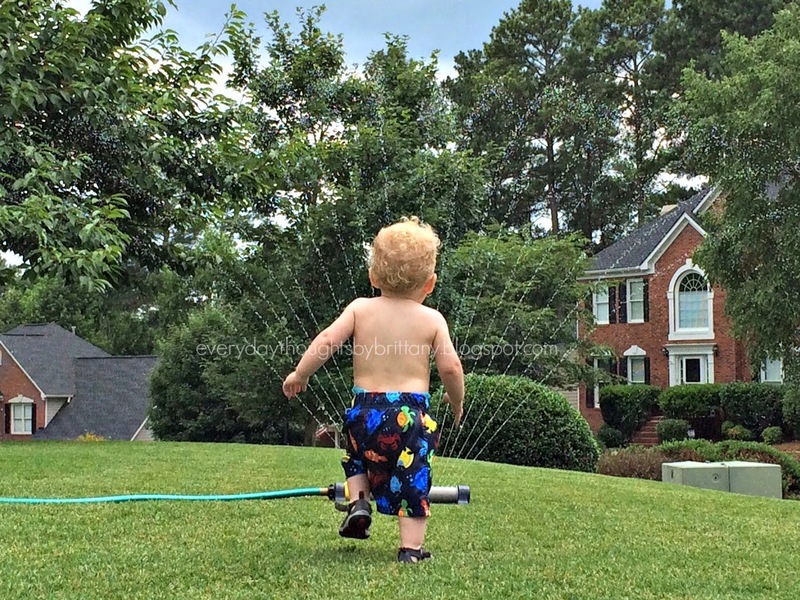 This past weekend my son played in the sprinkler for the first time. As a parent it was a completely heartwarming experience. If I could bottle up that moment or pay to relive it over and over again, I certainly would. He chased the water and tried to catch it on his tongue. 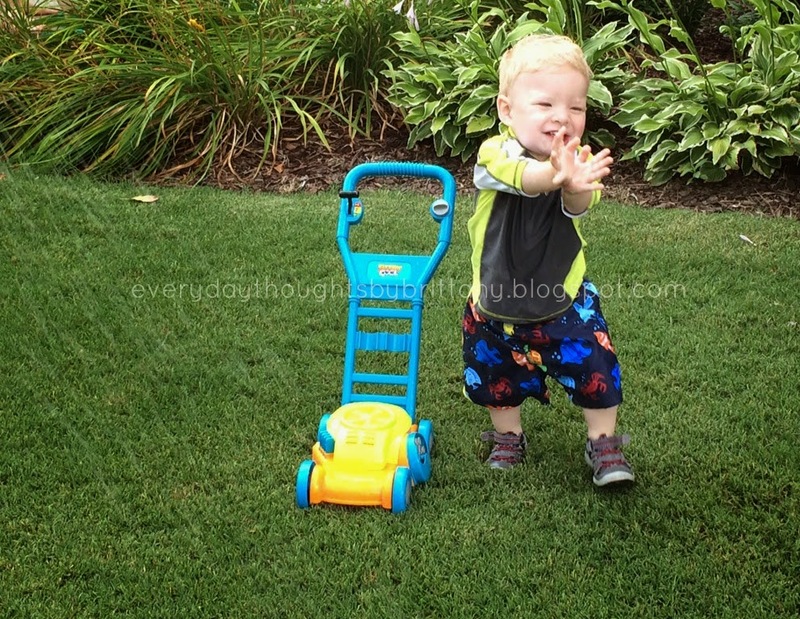 He pushed his Little Tikes car back and forth through the running water emulating a car wash. He was so thrilled, he loved the water so much. I knew in that moment that my son was as happy as he'd ever been and it was an overwhelming feeling of joy and satisfaction. 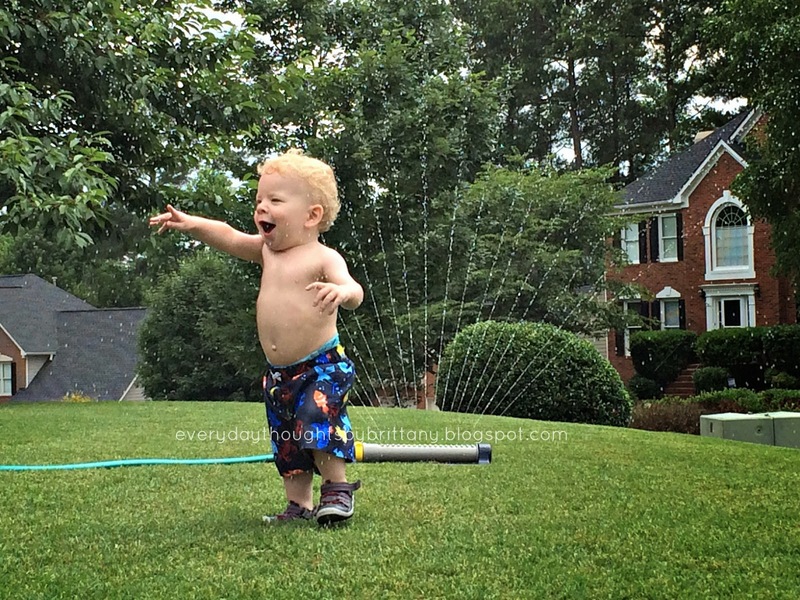 So without further ado, indulge on the cuteness that is my son in the sprinkler (you're welcome). Also I'm guest posting on Life with a Side of Coffee today so make sure to stop by Christine's blog and check it out and leave her a little love while your there. Finally, I'm offering 40% off all ads through the Fourth of July weekend - just use promo code TeamUSA at checkout. There are some options for less than $1 - that's a deal people! Aww thanks Kelly!!! I'm partial but I think he's adorable too!